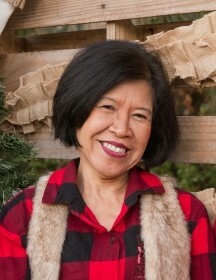 Socorro Aguila Singson, 66, passed away on December 3, 2018 in Jacksonville, FL. She was born on January 16, 1952 in the Philippines to the late Bernardo Aguila and Rufina Montalvo. Socorro retired from St. Vincent’s Hospital in Jacksonville, FL after 37 years working as a unit clerk/health administration. She enjoyed singing karaoke, dancing and eating great foods, always smiling through it all. She was a member of Blessed Trinity Catholic Church. Socorro is survived by her children, Katherine Singson, Tom Singson, Ken Singson and Karen Collado; granddaughter, Elvira Singson; brothers, Honorato, Napolean E., Carlos and Benidicto Aguila; sister, Evelyn M. Omnes, and many nieces, nephews and friends. A visitation will be held on Tuesday, December 11, 2018 from 6:00 p.m. to 8:00 p.m. at Aaron and Burney Bivens Funeral Home, 529 Kingsley Avenue, Orange Park, FL 32073, (904) 264-1233. A Funeral Mass will be held on Wednesday, December 12, 2018 at 11:00 a.m. at St. Catherine of Siena Catholic Church, 1649 Kingsley Avenue, Orange Park, FL 32073.